On Thursday evening, I wrote until my brain could take no more and went to bed frustrated. On Friday morning, I got up in time to shower and feed and dress Arthur and I before we had to leave the house just after half past eight, managing to squeeze a couple more hundred words in between it all: but still it wasn’t enough. Having set myself a somewhat cursory target of 90,000 words, and broken it down way less rigidly than with my first two novels, I was a little intrigued to discover that as I approached that magic number the story did appear to naturally be coming to a close. I had been all prepared, after the two ‘deadline extensions’ I already given myself, to move the goalposts yet again even after that progress bar had turned its satisfying deep green. But, as it turned out, only 784 additional words were needed before I could safely say that the first draft was done. It’s a good feeling, coming to the end of a first draft. Even now that I understand just how much work goes on after that point – way more, actually, in terms of both hours and mental exertion – it still feels good to get all of the raw material out of my head and onto (virtual) paper. And so, to an extent, I can now relax. Except, of course, I can’t. Along with all of the other endless jobs on my to-do list, I have set myself a bit of an epic mission for this summer. It’s the mission that, if I’m successful, will take me beyond the realm of ‘someone who writes’ into the heady heights of ‘professional writer’. It is the mission to get published. I’m keeping an open mind at the moment about how that will happen and with whose help, but it really is time I started to take things to the next level. I haven’t had the confidence before now to really push it, and even now I’m quaking in my boots a little. But I’ve written three whole books. And whilst they all still need a bit more work, I have reached a point where I don’t think I can justify turning my attention to another before the ones I’ve written are given a real opportunity to shine. So there won’t be much relaxing here. There will be lots of research, and investigation, and soul-searching, and letter-writing, and self-promotion. But hopefully by the end of it, once this latest first draft has sat for a while and is ready for me to turn my attention to it once again, I will have a much clearer idea of where it’s all going. This entry was posted in Sophie is writing, Uncategorized and tagged confidence, first draft, getting published, goals, juggling, novel, targets, writing on June 14, 2016 by sophieblovett. I had such a lovely writing day today. I don’t take any of my writing time for granted: it took years for me to pluck up the courage to put pen to paper at all, and when I was teaching full time I rarely had the headspace to write anything longer than flash fiction, or sometimes a bad poem. Getting stuff written has moved much higher up my list of priorities since I became a mum, but between entertaining a three year old and a growing smorgasbord of employment it can still be hard to find the time. I’m still working on making mornings work, and otherwise guiltily catching up during Arthur’s afternoon nap when I should really be focusing on the rest of my to-do list. I dropped Arthur off at forest school at 9.15. That may seem like an innocuous statement, but it was actually the first time we’d left him with anyone other than my folks, and the first time he’d been in an ‘educational setting’ for longer than the hour his gym class lasts. I wasn’t worried: the couple of sessions I’ve been to with him convinced me that it was exactly the sort of environment I wanted him to be spending his time in. Still, though, his wobbling lip and wide eyes almost weakened my resolve. But I have a deadline to keep. And I’ve already put it back twice. I wandered off through the little village of Stoke Gabriel, heading for a cafe by the waterfront. It was such a beautiful morning that I decided to start off outside, pitching myself up with my laptop on a bench overlooking the weir. There’s definitely a lot to be said for not being tied to my desk. After the first few hundred words, I decided I needed a coffee. So inside, for a flat white and a glass of water and a few more hundred words. Then when I hit a wall again, I went for another meander. I didn’t really know where I was going, but I figured it would be difficult to get lost. I found a bench, up above the road with a view down towards the river, just at the point when the next flash of inspiration hit, so I stayed there for a while. My last port of call was a pub, for a pint of lime and soda and a little burst of internet. Despite being connected to the world I still managed to get something written, ending my morning’s mobile session at 2,669 words. What was especially wonderful was that I hadn’t had to rush. I had almost four hours of writing time in total, broken up by walks to kick my brain into gear again. And in that time I could let my mind wander too, and find new ideas in my daydreams. I’m not sure how often I will have days like today – in the time I was gifted or the headspace to use it well – but I am grateful for this one I had. This entry was posted in Sophie is writing, Uncategorized and tagged #writinglikeamother, first draft, juggling, novel, outdoors, parenting, priorities, targets, Time, word count, writing on June 7, 2016 by sophieblovett. Up until recently, I have been very much tied to my desktop when it comes to working on my novel. My trusty Scrivener is not available on the iPad, and besides there is something about this space that focuses me. Both of my first two novels were written here in their entirety, and there is an energy and an association of success that makes it (relatively) easy to get the words on the page. Lately it has got harder and harder to find the time to write. Even with getting up early, my progress towards my word count target has slowed, and various excursions to London and further afield have meant my desk has been a very long way away just when I needed it most. So I have finally got round to dusting off my old laptop, dredging the (limited) depths of my technical expertise to get it working again, and setting up the Scrivener and Dropbox combo that means my novel can be with me wherever I am. It’s taking a bit of getting used to, but it seems to be working. I’ve had a couple of writing stints, one on a train, the other on a plane, where I have found the words pouring out – so much so that arriving at my destination has ended up being quite frustrating! It seems there is something about being on the move that is quite conducive to writing. I have always found the ambient noise of trains and planes quite hypnotic, and in this instance it seems to have shaken me out of my comfort zone and help me see things differently. It is as if the physical shift in time and place has helped me get over the initial stumbling blocks that the changing landscape of my story had presented. Whatever, now that I am back on solid ground I am very much closing in on my end goal. Even the tricksy issues of structure are beginning to find some sort of resolution in my mind, and I have some ideas that I’m really looking forward to exploring when this first draft is done. Most of all, though, I’m looking forward to the potential freedom in my future writing life – one where the inability to be at my desk does not translate into an inability to write, where I can use my environment to my advantage as I develop different aspects of my stories. I have always envisaged a life as a writer where I can be free to travel, and work wherever the mood takes me. Suddenly that possibility seems closer than it ever has before. This entry was posted in Sophie is travelling, Sophie is writing, Uncategorized and tagged first draft, focus, novel, Travelling, word count, writing on June 1, 2016 by sophieblovett. For once, this isn’t actually a blog post about the struggle to focus on the novel in the midst of everything else that’s going on in my world. That is still (and will ever be) a challenge, though the early mornings are definitely keeping things ticking over. My latest issue, though, is keeping my focus where it should be within the novel writing process itself. Since I’ve jumped almost twenty years into the future, picking up with my teenage protagonist as she navigates her way through adult life, I’m finding my mind increasingly drifting towards structure. I think it’s partly because, 75,000 words in, I can begin to taste what the novel might be like in its finished form. It is still a long way off that – far more than either of my first two novels I have really let myself be liberated by the first draft, and I know what I’ve ended up with is much rougher around the edges. Still, though, I’m finding it hard not to project a response onto future readers, trying to imagine how satisfied they will be with how I’ve told the story, how much they will empathise with my protagonist both now and in her past. And actually, ultimately, what is seeping in at the corners of my mind are those questions about how exactly am I going to tell this story. I’ve written it chronologically, starting when my main character was ten and peeking into every summer until she was sixteen, and everything began to come tumbling down. There’s loads I’ve left out – some I’ve alluded to in dialogue, some that is there in an exchange of letters. And then of course there’s a whole seventeen years that’s missing between the two different phases of life the novel covers. The bulk of the story happens – and is told – in the past, but the ‘present’ is vital to understanding its significance. I always imagined that I would structure the final narrative in a way which travelled between those two phases, and that is still my goal. I told myself just to get the story down first, and to worry about that particular (albeit major) detail later. And that is ultimately still what I’m trying to do. But it’s so odd writing something when you’re not entirely sure what your reader already knows at that point – or what they don’t. So hard to think about building suspense when you know that you might already – intentionally – have given the game away. I’m not expecting any answers here. It’s an interesting process, and one which I think I just need to hold my course on if I’m going to be able to find out whether it will work. There are a handful of key scenes that remain to be written, and once I’ve done that the solutions may well emerge all by themselves. Even if they don’t, I’m quite looking forward to the jigsaw puzzle challenge that the next phase of this novel looks likely to present. I just need to make sure that I have all of the pieces on the table first before I try to see the bigger picture. This entry was posted in Sophie is writing, Uncategorized and tagged characters, first draft, focus, novel, reader, structure, writing on May 17, 2016 by sophieblovett. So despite all of the crazy busyness of the last couple of weeks, the novel has managed somehow to hold its own. In fact last week I was flying – on Thursday and Friday alone I managed five thousand words, which helped me get my head well and truly back above the water. It wasn’t just about the words, either: plot points fell into place, my characters led me through some tricky resolutions, and my head was bursting with ideas about where I wanted to take things next. Out of nowhere I had found some much-needed momentum, and just for a while it felt as if the story was writing itself. But of course that didn’t last; I knew it wouldn’t. The downhill cartwheels that were powering me through were gathering speed as I grew closer to an ending: the end of my protagonist’s childhood, and also the end of the section of the novel that is set in the (not so distant) past. But it is not the end of the novel. My task now is to get to know the adult she has grown into, and that is a whole new challenge. Yesterday, I mainly scribbled notes – adding to the initial ideas I’d had about those almost-present-day chapters and hovering my pen over emotions and actions that suddenly didn’t feel right. I thought I knew her, adult Catherine, but it turns out that maybe I didn’t. I suppose it is only right that having spent several months (and sixty seven thousand words) travelling through her teenage years the woman who I am faced with now at thirty three is different to how I had imagined. She’s much more rounded, which is good. Initially when I was planning I only had the outline of the tumultuous events that had shaped her, I didn’t know exactly how she would respond. So I am almost starting again, in some respects, mapping out those future echoes with a preciseness that was previously beyond my reach. Much of the details will come out in the writing itself. I began a scene today which, when I let it, filled in the gaps for me. It’s slower work though: finding a character who is changed and yet consistent, a tone which is complementary and yet not just more of the same. I’m trying hard not to get frustrated. I can see that 24th May deadline that I set myself looming up fast over the horizon, and I suspect I might not meet it. I don’t even know right now whether ninety thousand words are going to be enough to tell the story I want to. There’s definitely going to be some serious editing when it comes to the next draft, but I suspect the raw material may spill over once I’ve found my flow again. And ultimately, I have to remind myself what’s important. The deadline was only ever a cursory one, the word counts plucked out of the air to give me something to aim for. Part of me is impatient for the next stage. I want to see how all of these parts are going to fit together, how the story will weave its way between past and future. But I know I need to get the whole of the story down before I can do that. So I will carry on, listening hard to the voice of this damaged and disillusioned woman at the dawn of the new millennium. After all there is nobody else that can tell me the rest of her story as well as Catherine herself. This entry was posted in Sophie is writing, Uncategorized and tagged characters, first draft, narrative voice, novel, voice, writing on May 10, 2016 by sophieblovett. I’ve said it before, but it’s a game of peaks and troughs this writing lark. I had a real burst of motivation after my last little dip, reminding myself why getting up early was good for my soul as well as a handy window for escaping into the world of my novel. But since then life, as it is wont to do, has thrown me a bit of a curve ball. I’ve taken on some new responsibilities for the Connecta Lives blog, I have an epic to do list to help get Shoalstone Pool ready for summer, the school where I am a governor is facing a new raft of challenges. And perhaps most importantly right now the #THISislearning campaign that I have set up with Maddy in protest against what the SATs are doing to our children is gathering steam and demanding a lot of our attention. All of this is good, and important, and exciting. But none of it is doing anything to give me the headspace I need to write – not even with 6am starts and lemon water. The lighter mornings have thrown another challenge into the mix. They are great on one level: the creeping peachy light of the morning sun across the bay is undoubtedly much more conducive to getting up than inky blackness. Unfortunately this also applies to Arthur, and whilst he is remarkably good (for a three year old) at keeping himself entertained in his room until the gro clock says it’s morning it is getting increasingly hard to hold on to that little window of time as my own. I still have to write, though – to meet my goals, and to release the pressure in my brain. It’s not that I have nothing to write about – I know the direction this story is going in, and my characters are clamouring for my attention. It’s just that it is hard to hear them over the noise of everything else. But I have to find a way. So I’ve come up with a bit of an action plan. Nothing fancy, but enough hopefully to keep things ticking over and move that progress bar from orange to green. YESTERDAY I measured up and ordered some blackout blinds for Arthur’s room. I’m not entirely sure how we’ve gone three years without them, but they are definitely needed now. TODAY I am going to take stock (starting here) and clear as much as of my to do list as I can, hopefully clearing out some space in my brain in the process. TONIGHT I am going to really make the effort to get an early night, and give myself the time to wind down from screens before then. I’m drifting back into night owl mode, and the lack of sleep is slowing me down. TOMORROW morning, and every morning, I am going to make sure I write something – anything – to keep the progress on my novel going in the right direction. My daily targets have crept back over the 1500 word mark, and for me that is very rarely achievable. Any words are better than none though, so I’m not going to let the fear of not meeting those targets stop me from writing anything at all. Next WEEKEND, and two weekends after that, I am going to maximise the time I have on the train for two whistlestop visits to London to catch up and get myself properly back on track. When I set my targets in the first place I didn’t include the weekends in my writing schedule, but now it is time to make the most of that little buffer. It doesn’t really matter (not to anyone other than me) if I miss my self imposed deadline and the writing of this first draft spills over into June. But it’s hard to juggle writing with everything else that’s going on, and if I don’t set myself some boundaries (and do my very best to stick to them) I worry that I may not find the time to write at all. This entry was posted in Sophie is writing, Uncategorized and tagged challenge, first draft, juggling, novel, planning, stress, writing on April 20, 2016 by sophieblovett. 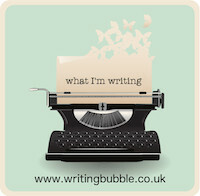 I realised a few key things today – about my writing, and about me as a writer. It was three years ago, almost exactly, that I began to write the first draft of my first novel. In the time that has passed, I’ve written in the region of 200,000 words of fiction. They have, collectively, taught me an awful lot; and in doing so they have liberated me from some of the self-imposed rules that may previously have held me back. Not just the words themselves, or the processes by which I came up with them in the first place, but also – perhaps mostly – the reworking that has happened along the way. Most of 2015 was taken up with editing and redrafting my second novel. I didn’t enjoy it much – not as much as the heady excitement of the first draft anyway. And I’m still not entirely convinced that story is where it needs to be. But as my third novel gathers pace it is clear to me that it was an incredibly valuable learning process. I am loving being back in the unknown territory where a new adventure is beginning to unfold. One where I know the final destination (or at least I think I do), but still have much to discover about the intervening terrain. And having spent so long agonising over the details of second, third and fourth drafts last year I really am relishing the freedom that comes with the first. I realise now that this is where I get to try things out. That I need to be bold, and follow my instincts. If a scene wants to be written in a particular way then I need to let that happen – even if it doesn’t entirely fit with what has gone before. Last time round I think I worried too much about the finished product, even at this very early stage. I didn’t want things to be inconsistent, but in avoiding that I might have fallen into beigeness – I didn’t let myself pursue my whims, figured I’d save that for later. But there is no better time to be true to your characters and their voice than the first time you hear them speak. I’m letting myself be freer with the plot, too. I sort of know which way I’m going, but when I come to an unexpected fork in the road I’m more confident now to follow my instincts even if it means taking a different path to the one I’d thought I would. And in fact the most important path – the overall structure that will eventually lead the reader through the narrative – is hardly featuring in my mind at all. In the past I remember deliberating for ages about where chapters should start and end, whether what was happening in this particular scene would fit with what the reader already knew. Now, though, I’m relinquishing control to the narrative itself. I’m letting that lead the way, and I know I will have plenty of time to mould it into a structure later. I think that what I’m ending up with is more authentic, more true to me and my voice. It’s rougher round the edges than my previous first drafts have been, but I don’t think that’s a bad thing – potentially quite the opposite. More than anything I am not allowing myself to be paralysed by the pursuit of perfection – either in what I’m writing, or how I’m writing it. This whole thing is just the latest phase in this epic learning journey I’ve entered into, and if I can trust myself and the words that want to flow then I’m pretty confident I’m heading in the right direction. This entry was posted in Sophie is writing, Uncategorized and tagged first draft, freedom, learning, novel, truth, writing on March 23, 2016 by sophieblovett.